Afternoon Loverlies! 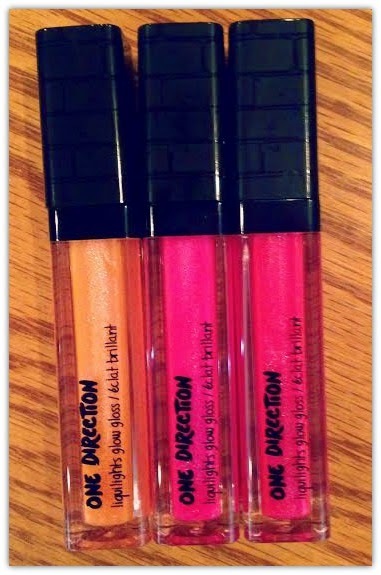 I have recently been given the oppurtunity to review three One Direction makeup sets. 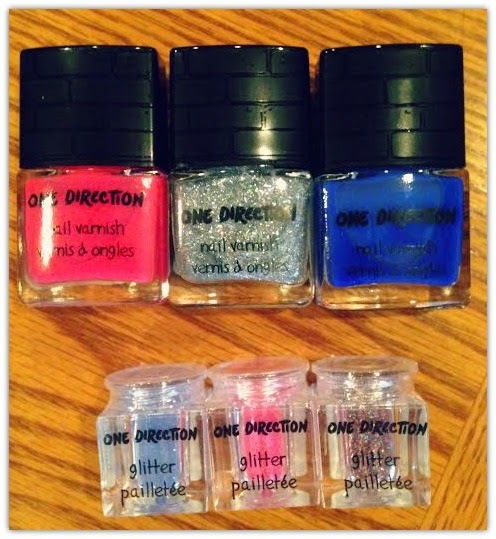 The sets are Liquilights Glow Gloss, Electroglam Mascara and Rock Me Nail Varnish with 3 pots of nail toppings included. I did not realize prior to receiving these sets that I needed a black light and one of those Gel nail polish dryers ( I think that is what it is called). Which explains why my nail polish doesn't dry correctly. *Facepalms* Excuse my ditzyness for a bit, thank you. Apparently each of the products are perfect to wear to places that use a black light so you will glow! Also the Electroglam Mascara can be used for your hair. How awesome is that? I will have to find out where to get one of these black lights and try it out. Now to what comes in each set! This makeup set was put in stores around November 15th. Here is a list of stores you can purchase it from: Macy's, Dillards, Boscov's, Stage Stores, Beauty Brands, and Lord & Taylor. Each set runs around $16.50 plus tax. I have some other awesome news to share with y'all! You can enter to try and win a limited edition set of your own! I will post how to enter at the bottom of my blog post. Sorry I am a bit late at getting it on my blog, so hurry up, because there is only a few more days left to enter! 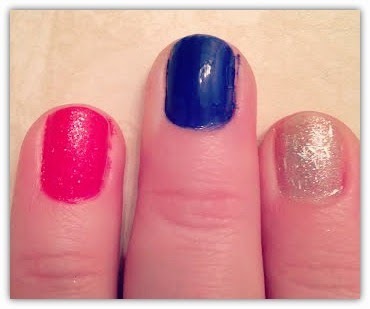 Wanted to show what each polish looks like. The pink has the pink glitter on top.